I was trying to search this thread but couldn't succeed. So a quick question. How many of you are using the stock Dunlop tires with your Vezel? Satisfied? Or if changed than to which brand? hi, were you selling your Vezel? as saw its add on pakwheels a week or so back, dont know if its still there, upgrading or got bored? 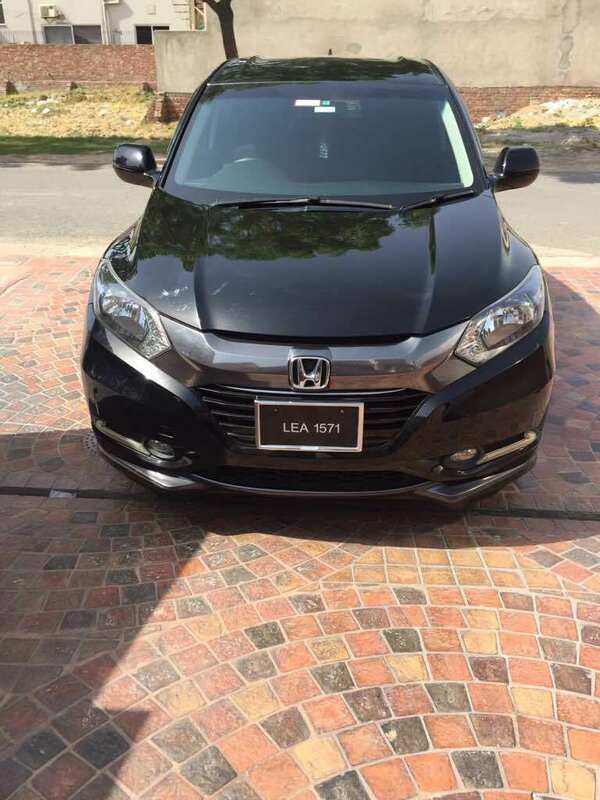 EDIT: didnt read the thread, its sold, best of luck with your next car! Also no reply on my previous post. I guess after the sale of Dr. Zak's vezel this thread will be dead. Today during drive I heart strange sound with warning in cluster (car and downward arrow) with Japanese message. Can any body advice what this warning means?? No need to worry it is a safty feature which stops the car from front collision. It means if ur car is close to the car in front of u and it is between 0-30km this system (city car braking) will engage and apply brakes automatically and prevent the collision. What do you want to get checked? I had checked and finalised the deal but had to leave for ISB to attend office in the morning. It's with me now in ISB. Razi Sb stayed and met you too I believe? He was complaining about you not attending his phone call. Wanted to inquire about which engine oil were you using. Great to know. Insha Allah she serves you well the way she did to me. Bro is there any luxury tax on vezel? Where is extra tyre or repair kit located in vezel?